#SCBD– A Concept that Started A Year Ago, Still A Work in Progress! When I started this blog a year ago, well this week a year ago to be exact– I had no idea where it would take me, the opportunities it would bring me, etc. If you read my story you know I was just interning at The Rachael Ray Show in the field, post, & production departments and in the my 2nd to last semester of my Senior year at Fairleigh Dickinson University. On the Wednesday’s I interned I’d always tell my peers I interned with the best deals I found for lunch which would usually be Blarney Stone, or my craving for Potbelly. I was the deal finder of the gang and I took the title proudly. I’d also constantly look for deals on Twitter & Midtown Lunch. Thursday’s were also filled with great food experiences on set or just sharing a meal during the field department, never a dull moment. As I mentioned in my story I was also involved with the Intern Queen Campus Ambassador program and would be blogging about food the next semester. I knew I could do it but I knew if I started a blog about food & deals it would be a head start. The idea sunk in my head more, so one Thursday when I was finished with my field work on the computer I decided to start the blog. As I mention above and in the title, this was just the manifestation of starting the blog and having the site. I wrote a little paragraph about my concept, etc. It was also written the day before my boyfriend Jason’s birthday last year. You can see my first post, here. As you may notice it’s not much but it’s something! Like any good thing buying the domain didn’t happen until later. Since I wanted to be the best intern possible, I had to wait to share my eating adventures while I interned and went full on and haven’t stopped writing (except for maybe finals week) since January 11, 2012 and I plan on celebrating a year in 2013! I’m so happy that I can bring you all the information I have whether it be recipes, meeting you readers through Twitter, all of the interviews the last few months and of course my special deals and contest alerts! I also can’t forget where it all began with my restaurant reviews. It screamed SCBD and was perfect timing with the one year concept anniversary! 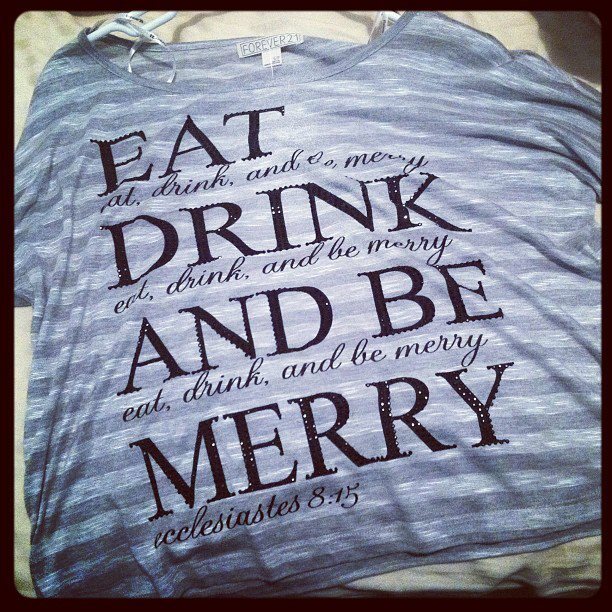 I love the quote: Eat, Drink, Be Merry! I promise I will have another reflection piece in January. I’d also love to have a happy hour or something to celebrate and would love invite fellow bloggers & readers to celebrate the one year anniversary of the launch so keep the week of January 11th open! Make sure you are a fan and are following Small Chick Big Deals on Facebook & Twitter for the most ongoing updates! I am always posting deals, recipes, new posts, & more– so it’s the easiest way to get a hold of me also. Before I get too carried away, I just want to emphasis once more how grateful I am for all you readers, the fellow bloggers I’ve met, businesses I’ve been fortunate to review & work with and all the people I’ve been able to interview & more! I’d also love to thank the staff of The Rachael Ray Show for bringing out my inner foodie last Fall! I have tons of more posts on the way that you’ll love, but you’ll have to wait! I promise I won’t take too long, can’t wait to tell you all about my recent foodie experiences in the city. If you know the story behind Small Chick Big Deals, you know it wouldn’t be here if it weren’t for her influence on me while I was a campus ambassador, read the story behind SCBD, here. I had the opportunity to interview her the other day and asked her advice on life, internships, and of course food. SCBD: Why and when did you to start the Intern Queen website? LB: I came up with the idea in 2006, after completing 15 internships, as I was graduating college and saw that there was a lack of resources for students. I began working on the site full-time in 2009. SCBD: When did you start interning and what was your first internship? LB: I started interning in 2003 at an advertising and pr firm, The Zimmerman Agency in Tallahassee, Florida. SCBD: What advice do you have for post-grads in regards to careers and life? LB: Once you graduate work on finding a balance between finding a job and taking it seriously. You also want to balance in having enough time for some fun with friends, family, etc. SCBD: I used to be a Campus Ambassador for the site, what do you look for in your ambassadors? LB: I look for the most influential students that take a initiative and are proactive to be ambassadors. Most of the time they are first follow through and continue the process to get accepted. Most of the time they’ve heard about the program already as well. 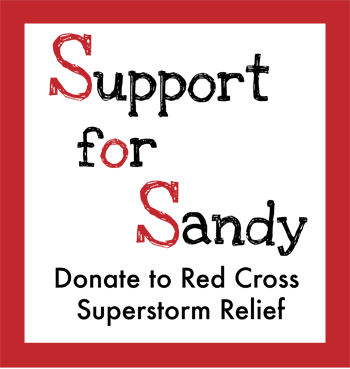 SCBD: What is your stand on blogging and how can it be a benefit? LB: It can be great as long as it is appropriate in regards to your job search. It can also be a huge benefit because you can gain more knowledge on the topic you are blogging about. SCBD: Since this is a food blog, what is your favorite recipe? LB: I’m currently loving hot Italian Sausage with peppers and onions, because it’s quick and easy and healthy. SCBD: You’ve been all around the world, what’s the best thing you ever ate and your favorite city? SCBD: What is your all time favorite food? LB: I love chicken noodle soup! SCBD: What’s your favorite restaurant? Why? 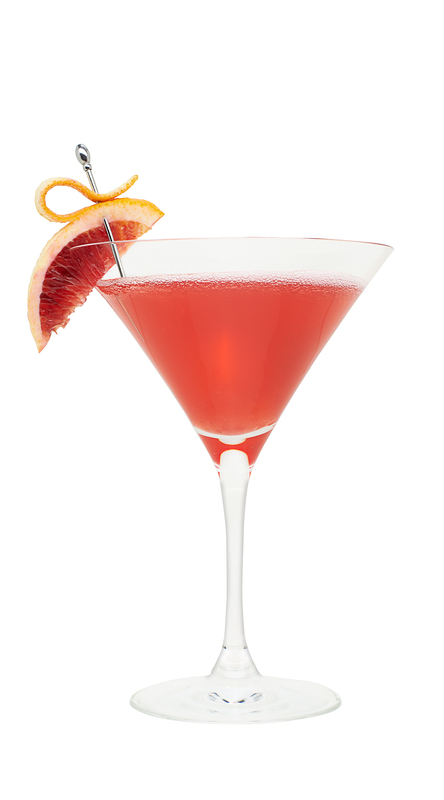 LB: For great Italian food in LA, I love Dan Tana’s and for sushi I love Kabuki. SCBD: Would you rather have a night in with a homemade meal and great friends or night out? LB: I like a little bit of both. An ideal night in for me is good Chinese food and television. SCBD: Since I cover deals, any budget advice you have for post-grads? It’s all about the planning, the last day of the month or first day of the month make sure you figure out your budget. Prepare before you go out because it’s important to budget and go have fun. I believe money should never hold you back from having a good time. There are also so many great free things to do in most places now so be aware of them and go out and have a good time. SCBD: Last question, if you had to pick one motto you live by? LB: Never take no for an answer, decide what you want to and go out and make it happen. Thank you Lauren for letting me interview, it was a great experience to be a campus ambassador and greatly influenced the start of Small Chick Big Deals! Thank you for being a constant inspiration for me! 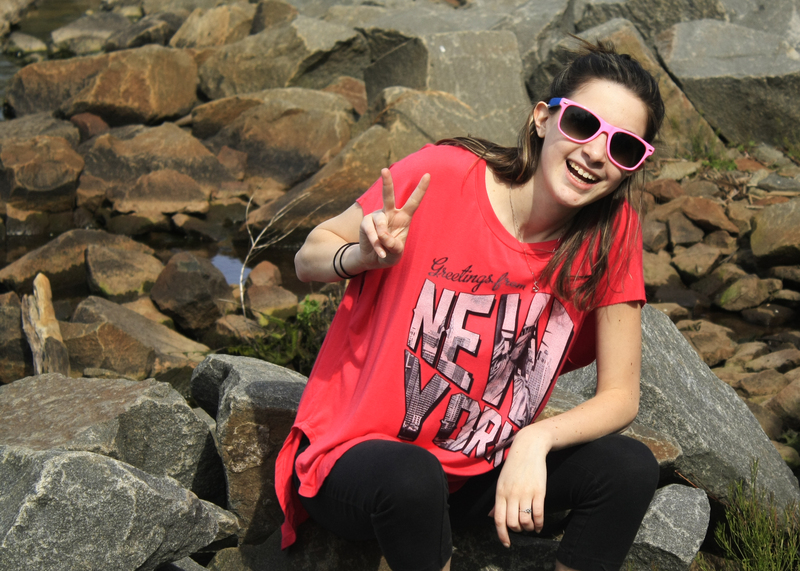 If you are in high school or college and want to know more about the site & Lauren make sure you go to InternQueen.com! 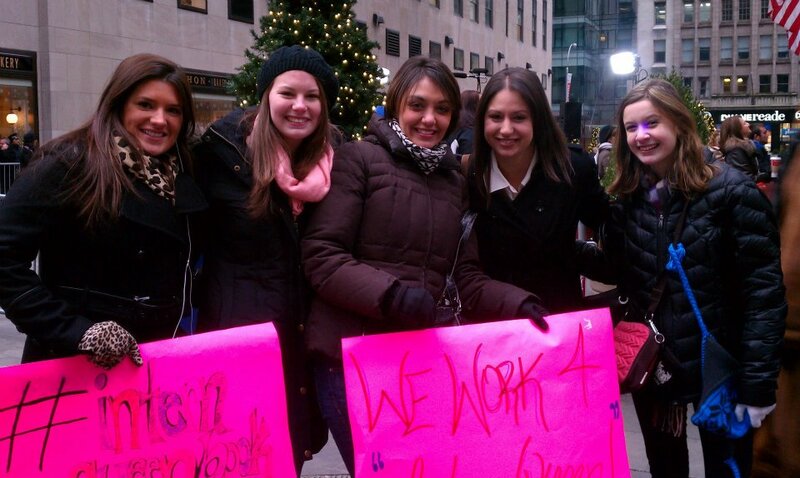 Lauren, the Intern Queen with some of the other Campus Ambassadors & I at the Today Show! 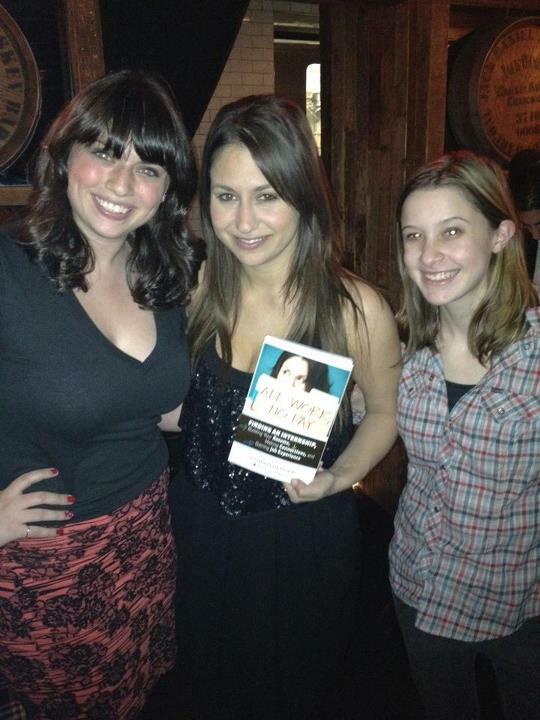 My friend Steph of Doe & Bear photography & I taking a pic with the Intern Queen at a book signing! This the third interview in my #SCBDExclusive interview series, more to come!